Work out your tax liability on withdrawals from UFPLS with our tax calculator. After an initial slow take up of UFPLS (see article below), more providers have built this into their propositions. It does come with certain restriction however depending on the provider. As part of the pension freedom reforms, an additional way was announced, to withdraw pension monies. The official name is uncrystallised funds pension lump sums or abbreviated to UFPLS. This allows ad hoc withdrawals from your existing pension. No need to move to another provider or change funds. The concept is to withdraw money as you do from a bank account. The pension bank account if you will. Nice idea, however it seems difficult for existing pension schemes to implement and full of additional complexities. The idea sounds simple. Withdraw what you need. 25% will be tax free and the remaining 75% will be added to your income tax bill for the year. Great, where’s my pension bank account cash card I hear you ask. Well, it’s not going quite according to the Chancellors game plan. For starters there has been an extremely slow take up from existing pension companies to spend millions on the administration and technologies to set such a scheme up. Think of this scenario. Mr Smith want to be flexible with how and when he takes money from his pension. He wants to withdraw money as and when he needs it, leaving the remaining fund to grow. He only wants the odd £1,000 here and there however. Every time he wants some income it will trigger a lifetime allowance event. Moving money from an uncrystallised (pension accumulation) to crystallised (pension decumulation) stage, requires a test to see if the pension holder has breached the £1.25m pension lifetime allowance limit. Now, very few people will have the privilege of paying the additional 55% tax for breaching such a limit but none the less, a test is required every time a withdrawal is made. As the remaining fund continues to grow (in a perfect world) there could be instances where someone’s fund has gone over the limits. Pension schemes are required to check every client who withdraws funds, and that they’ve declared to have unused allowance left. It’s hard to think that the majority of companies are going to get involved in the administration of such reporting, thousands of times a month when 5,000 Mr Smith’s want their monthly golf club fee’s. It’s unrealistic to expect a company with no previous withdrawal facilities to adopt such procedures. 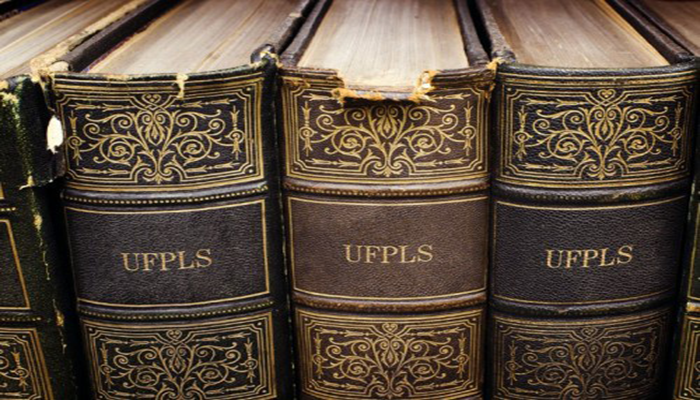 Looking at those who are providing UFPLS, there seems to be certain restrictions being put in place. Equitable Life, for example are offering UFPLS but the minimum withdrawal is £5,000. The next issue concerns where the remaining funds will be invested. The vast majority of people invest in a pension when their younger, they haven’t got any idea where their funds are invested or whether it suits their attitude to investment risk throughout their working career. At retirement, it’s pot luck what their fund size is. The fund type could be totally inappropriate, it could be completely equity based (high risk) or in a dog of a with profits fund. As no financial adviser will be required to assist a client who wishes to use UFPLS, no fund assessment will take place. Scenario 2 would see a client start to withdraw money after retirement on an ad hoc basis and then find, after a stock market crash that their fund has halved. No one will be liable as no advice is required to withdraw funds this way. It’s not the pension providers’ prerogative to risk profile clients who are using this form of withdrawal so the client is on their own. For its potential complexities to providers and suitability to users, there are some positives to withdrawal through this method, in the right scenario. If you’re 65 and have a pension pot of £100,000, 25% of this or £25,000 would be tax free if you crystallised the full fund and bought an annuity or went into drawdown. Your maximum amount of tax free fund would always be £25,000 and the remaining £75,000 would be added to you income tax liability on withdrawal. If however, you used UFPLS you could end up with more tax free cash (over time) and overall fund. Let say you want to withdraw £20,000 per year for the first 4 years, then everything out in the final year and it grows 10% per year. Although the potential growth in this example is probably unrealistic it highlights an increased tax free cash allowance of £8,077 and additional taxable income of £18,231 over crystallising the full £100,000 at outset. An overall better position by making ad hoc withdrawals. That’s the positive, if markets don’t behave, there is a risk you could end up with less. Some of the major providers are putting their cards on the table regarding this method of withdrawal. AEGON has already called for it to be scrapped and AJ Bell has announced it won’t be offering UFPLS but will offer lump sum withdrawals under flexi-access drawdown. Suffolk Life and Zurich announced that they are to offer uncrystallised fund pension lump sums to their clients. From our experience at Compare Drawdown the restrictions being put on UFPLS by providers is putting many people off using it. Drawdown allows a lot more flexibility and there are no restrictions on withdrawal. If taken advice it also provides piece of mind that the funds are invested appropriately. Like the idea of UFPLS but your existing provider doesn't offer it? We’re in contact will all the provider who do offer UFPLS. Talk to us and we’ll help you find the best providers for your personal requirements.